Judge David Byrd (2nd) -- Please read the full story for details. DSS Lawyer: Paul Wesley Freeman Jr., represented false information in this case for over two years. Please read the full story for details. game to try to adopt their children out from underneath them. their own and were persuaded by the mentally sick grandmother to obtain the Foster Care License then adopt the parent's child. They must think it's proper to alienate the affection of someone else's child. Person who Conducted Psycholgical Assessment: Ms. Diana Ryder - Reported to insurance company for fraud - "I must diagnose you with a disorder for your insurance company to pay for this. I came up with two disorders, a separation disorder or personality disorder, and I don't think you want a personality disorder." After being confronted about the fraud, NC Blue Cross said she retracted one or more claim(s) for payment. "New River Behavioral Healthcare losses put at $6.5 million over 2 years" Click the link to read full article on this corruption. 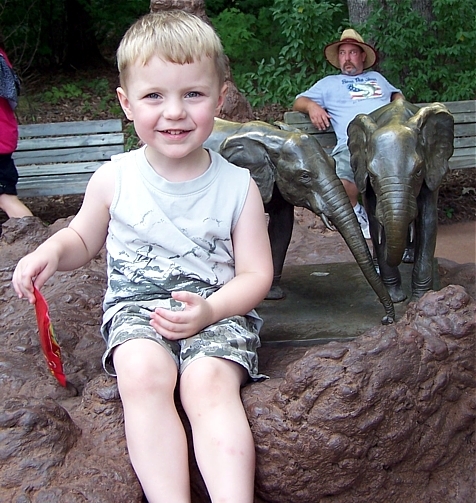 Here is the Founder's Son at the zoo being very much loved and cared for as always, before the Wilkes County Court took him from his home not long afterwards. "The site is an occupational hazzard"
DSS retired social worker of this being her last case. rights to due process of examining the doctor's evidence against him -- and to start "cooperating" with DSS.. This judge also knew the parent had at least two case witnesses whom arrived to testify in court and had to fly in over four hundred miles away (from the state the parent is originally from) and willfully refused to accomodate the parent's witnesses to EVER testify. After two days of waiting for their turn to testify, the father's mother and sister could no longer wait around in the court house (above pictured) and could not be gone any longer from their professional jobs (nursing and caregiving) which resulted in them never being able to testify about how truly great the relationship was between father and son (which they've witnessed many times). 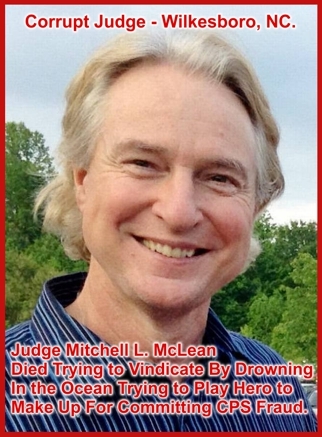 This just gives you a small example of this corruption - please feel welcome to read the full story to be utterly disgusted and fully aware and informed about how these judges and other participants to a DSS case commit acts of fraud, willfull deception, willful unfairness, carelessness, recklessness, and judicial corruption. UP TO THE DAY BEFORE DSS Declared HIM As An "Abused & Neglected Child"
"Mr. Scott, Great Great Job. I'm so proud of you and your staff. Again, thank You." Janice Adams. - email received from our client after all three granddaughters reunited. We would like to welcome you to our fully state licensed investigative agency, helping parents nationwide with DSS/CPS cases. 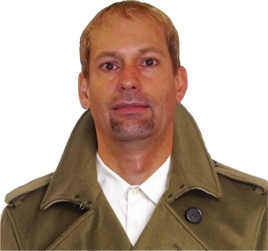 With having over twenty-four years of expert investigative experience combined with the highest of academic training, our investigative firm and/or its chief investigator Jon Scott, has created and developed the much needed specialization of providing the highest level of expertise in fully state licensed investigative services for each state of the United States as hired from the originating state where the lawful licensed professional is located - in parental rights defense and litigation investigations. Our firm has clients in almost every state of the country whom are dealing with a corrupt Child Protective Services department. Our firm legally investigates all United States Departments of Social Services (DSS), namely we investigate Child Protective Services fraud, we investigate child protective services corruption, (we investigate CPS fraud and we investigate CPS corruption), we investigate and provide help for DSS Corruption (help for Department of Social Services Corruption), we investigate and provide help for Child Protective Services Corruption, (help for CPS corruption), investigate and provide help for Social Services Fraud, (help for DSS Fraud), investigate and provide help for Child Protective Services Fraud (help for CPS Fraud), investigate and provide help for Child Protective Services Corruption (help for Child Protective Services corruption), investigate and provide help for Parental Rights Violations, and namely, expert Parental Rights Defense Investigations and are Parental Rights Defense Investigators. Many times, our clients hire us and get all the results they are looking for - without ever hiring an attorney, or AFTER hiring one or more attorneys whom have done little to nothing to help them. WE HAVE LEGALLY FORCED DSS/CPS AND COURTS TO RETURN CHILDERN TO THEIR PARENTS OR LEGAL GUARDIANS. As expert parental rights defense investigators, as well as parental rights civil litigation investigative experts, Child Protective Services civil litigation investigative experts, our team produces unsurpassed results for our clients. Namely, we in fact have a strong track record of investigating and seeking justice for DSS Social Services Fraud, investigating and seeking justice for Child Protective Services Fraud, investigating and seeking justice for Child Protective Services Corruption - which many times has resulted in the return of the children back to our clients. Our firm fully investigates Child Protective Services corruption cases where our powerful investigative efforts have in fact been the exact reason why many of our clients' children have been returned to them. 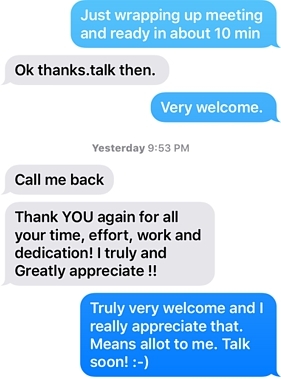 Our clients thank us over and over again for being the one true reason why they've been able to finally get back their child or children, and to also pursue the most probative evidence towards preparing it for trial against these corrupt persons and their departments. We investigate to secure evidence and prepare it for Federal and civil lawsuits against DSS fraud, Federal and civil lawsuits against Child Protective Services fraud (lawsuits against CPS fraud), civil lawsuits against Child Protective Services corruption (lawsuits against CPS corruption), civil lawsuits against Child Protective Services parental rights violations (lawsuits against CPS parental rights violations), and civil lawsuits against the Department of Social Services (civil lawsuits against DSS). Our firm takes every legal step necessary to investigate complaints against Child Protective Services (complaints against CPS), complaints against child protective services fraud (complaints against CPS fraud), and complaints against child protective services corruption (complaints against CPS corruption). Our very strategic planning and actions work to investigate DSS fraud, investigate Child Protective Services fraud (CPS fraud) and investigate Child Protective Services corruption (CPS corruption) against these criminals to seek indictments for the arrests of fraudulent Child Protective Services case workers (arrests of fraudulent CPS case workers), arrests for fraudulent DSS workers, Child Protective Services committing fraud and violating parental rights (CPS committing fraud and violating parental rights), Child Protective Services case workers committing fraud and violating parental rights, arrests and lawsuits against corrupt Child Protective Services social workers, staff, and administrators. We also hold that nobody is above the law, not even judges. Whereas, our very powerful investigative strategies and courses of action our firm takes, goes all the way to the top of the illegal food chain of Child Protective Services corruption to include the seeking of a Grand Jury indictment against any judge or others who or whom knowingly commits Child Protective Services fraud and corruption. We are also fully state licensed to secure any and all evidence and to prepare it to be used before committees, boards of award and arbitration, as well as for full civil and criminal jury trials. 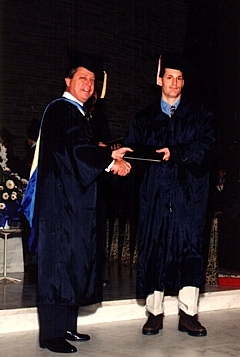 With over twenty-two (22) years beginning with obtaining the very highest of academic legal studies, then going on to conduct thousands of fully state licensed investigations combining a large variety of both civil and criminal issues - and now, at over seven (7) years beginning from founding and creating this investigative specialization of Parental Right Investigations, to the full day-to-day continuance of making it more effective for each new case and with consistently producing better results on cases throughout all of these years - I can say with absolute honesty an assurance that our clients can count on our firm to work on their case with utmost care, professionalism, expertise, efficiency, attention to detail, integrity, and passion to win, find justice, reach all legal investigative goals and objectives, and to gain the highest of prosperities for our clients. That is my personal promise and commitment. All DSS/CPS members will be financially rewarded for their participation in successfully winning any lawsuit against any DSS/CPS agency. Investigations. 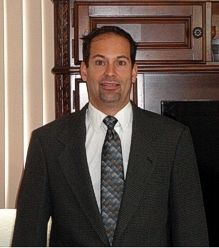 CPS/DSS Fraud and Corruption Defense Investigations - 25 Years Total Career Investigative Experience. "I think you're very knowledgeable and definitely out there to help parents fight CPS and getting their children back" "You've done a lot of work on this case and definitely working to make it better for us." Ms. Aubrey R.
Ms. Rebecca B. - "Yes, my court appointed attorney said you put him under investigation and he spoke to his friend the Judge who stopped the termination of my rights in court yesterday." Ms. Meagan F. - Survey from 1 to 10 "A 10" "You've helped us tremendously and are the reason our child was returned and case closed." Ms. Cindy M. - "Very effective" "A 10"
The child was returned to our Client. We fight​ hard to secure the best evidence and prepare it for our clients to help them reach their goals in their CPS/DSS case which is normally the reunification of their children. ​We legally hold those accountable for violating the rights of our clients. We secure the best possible evidence and prepare it for our client who is interesting in using our investigative work towards pursuing a Federal Civil Rights Violation Lawsuit.​ Since 2009, our work has not only been the actual cause of many reunifications - we have also produced an Appellate Court Victory! Be Responded to FOR HELP REQUESTS. an Investigative Assessment (to begin with). Sponsors will be able to communicate with the families they've helped and periodically check to see all the great progress and achievements made on their cases. You may use the email listed at the top of the page to ask about Sponsoring. Read Full Collection of Comments Here! We are the number one leading firm in the nation that specializes in Parental Rights Defense Investigations. Our investigation secures very powerful evidence and stops CPS fraud and corruption that makes it possible for our clients to become reunited with their children. DSS/CPS otherwise does everything if can to keep the cases going for as long as possible which allows them to continue getting a crooked paycheck. Our "Share the Wealth" Announcement! Our firm has pledged to show its gratitude and true appreciation for ALL of our very many loyal, highly appreciated, and great team-work oriented clients (and even Assessment Only Prospects), by helping ALL families. The help and showing of appreciation we are referring to is the payment of part of ANY future lawsuits (especially Multi-Party/Class-Action) that our firm helps to win! This help and showing of appreciation is at our firm's full discretion and choice however - any and all clients whom have been long-term patrons, supporters of our cause, and the very many great clients we've had the honor to help become reunified with their children - will not be forgotten. We want as many people possible to win - WITH US and to Celebrate Victory TOGETHER. "God makes more useful applications for your life than you will ever find on your smartphone." Press Play on the audio player to right to listen to the above transcribed Case Assessment Surveys. By making this payment of $75.00 TODAY, Yes I'm very serious about getting help (Right Now) and want an expedited phone call Within Three Business Days by Inv. Jon Scott (The Nation's Pioneering Parental Rights Investigative Expert). Assessment payment and to be called WITHIN 3 Business Days. 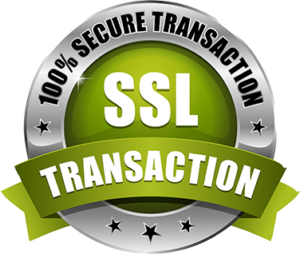 ​Thank you for seeking our firm's highly professional and expert help. We have a very fair and reasonable $75.00 Initial Case Assessment Fee which is 100% Money-back Satisfaction Guaranteed (by Paypal) and covers the costs for our firm to perform your case assessment (and lets us better know who can truly afford to hire us rather than seeking our help for free plus, this payment also makes it possible for our investigative services to be offered at a much lower price to more people, rather than only serving the rich and wealthy families. That means if you cannot afford this very fair service fee which also enables us to help more people, it is very unlikely we can help you - since you would not be contributing towards what's NEEDED For The Costs of PROVEN EXPERT HELP on YOUR CPS/DSS case as well as helping us lower the costs for EVERYONE. By law, we can and have charged up to $250.00 or more for just this assessment. Prices may vary at anytime due to demand and our availability. This fee is also applied towards your flat-rate quote for hiring us after the case assessment, (of which fair and reasonable quote shall be based on this case assessment and given to you after the assessment between 1 – 3 business days after we use the assessment to research the people involved, county, jurisdiction, facts, circumstances, cross-reference similar cases, and legalities of your case). ​We also offer a 100% money-back guarantee of full customer/client satisfaction of our Case Assessment so there is no risk involved for our clients to get started having us professionally assess their cases and determine a fair and reasonable flat-rate quote for hiring us. ​We also accept payment for the Case Assessment VIA Paypal which provides full consumer fraud and scam protection. Once payment is made, you will be directed back to the website to submit your contact information (Name, Number, Email, and any details you would like to inform us about your case) for the nation's leading expert and pioneering parental rights investigator (Chief Inv. Jon Scott) to call you for the assessment within three (3) business days. Feel welcome to also check our very strong testimonies below. ​We also try our best to make our investigative services affordable to everyone and, all persons whom pay for the case assessment will also be included in our list of parental rights clients to be considered to receive part of monetary winnings/awards of any and all future lawsuits that our firm helps to win for other clients, where our firm wishes to also financially help these other families that have been victimized by DSS/CPS (especially financially) and in need of such help. We have a strong ethic for us ALL to win together (not just for our firm or the families whom could afford to hire us). We offer the flexibility of just $500.00 to begin working on a case, so that our clients can evaluate and determine whether or not they would like to continue receiving our highly experienced parental rights defense investigative help. This policy is in full effect to help all families of various incomes and as our pledge to show and demonstrate our true ability and effectiveness in helping our clients succeed in their CPS cases. Our clients will also not be obligated to pay off any balances due if they aren't fully satisfied with our expert help and truly wanting us to continue working on their case for as long as it takes to achieve the best possible results. We also offer a significant courtesy reduction for full payment case funding up front (a reduced flat-rate quote that covers all costs) which lets us spend less time on account payments management, and more time on case work. We pass those savings over to our clients. All clients receive a full written Service Agreement with all terms put in clear understandable writing - before we are hired. 1. Our clients routinely tell us that our quotes are more than fair and of the best value to them for our highly professional and expert help). ALL clients whom hire our firm for our Expert CPS/DSS Investigative Case DEFENSE are also able to call/text Inv. Jon Scott throughout their entire case for ongoing investigative help, tasks to complete, investigative consultations, case reviews, and team-oriented case development (towards actual parent-child reunification). PLEASE MAKE THE PAYMENT of $75.00 to begin the process IF YOU TRULY WANT EXPERT HELP & SERIOUS CASE DEFENSE AND SUPPORT. ​2. AGAIN, PLEASE MAKE THE PAYMENT TO MAKE HELP POSSIBLE. WE WORK for a living and EARN IT PER EACH CASE. ​Juan C. – Inv. J. S: How would you rate our overall performance on a scale of 1 to 10 with ten being the best possible service? Juan C: "A ten – I would say. I appreciate, extremely appreciate how thorough the interview has been. I appreciate the patience you've had with me. Because this is a little overwhelming. I understand I may have been a little excited but you've been very patient, and very attentive, and very professional – and I certainly appreciate that. I'm grateful for the time you've taken to assess the case. The quickness, we’ve gotten a response very quickly and not only that but you've followed up. There's been a few time when we weren't available but you've follow-up and returned the calls and when you said you were gonna return the calls so we're very grateful for that." Inv. J. S.: Would you recommend other parents out there whom are needing the same time of help? Juan C: "Absolutely, one-hundred percent." ​Albert C. -- Inv. J. S: How would you rate our overall performance on a scale of 1 to 10 with ten being the best possible service? Albert C: "I'd give you an eight to a nine on that. Because your knowledge is process about what DSS does and process of that court, what type of motions and where the court lies. You have experience knowing what each and every one of them is, where that doesn't have to be explained. That's what the discussion with you was – more expeditious and took less time. I got to stay with the facts and not have to explain the process." ​Inv. J. S." Could you please elaborate a little on your past history as a legal professional?" Albert C. "Yeah, I was a civil rights paralegal." ​Stanyatta H. – Inv. J. S. How would you rate our overall performance on a scale of 1 to 10 with ten being the best possible service?" Stanyatta H. "I'll say a ten. I appreciate because you got deep down into details and started asking me questions that you thought I may have forgotten about." 11-28-18 Katrina C. of Colorado "It seems fair." 11-28-18 Peggy J. of Oregon "It was great. I'm excited to see what will happen, because I think it will be good." 11-21-18 Tamela A of Ohio "I've been very satisfied with the phone call and how you've handled it. It had absolutely met my expectation and probably beyond" Note: Talk time 1Hr & 36 Min. 11-19-18 Amy S. of Ohio Inv. J. Scott "Did this investigative case assessment meet your expectations?" Answer "Yes it did." 11-19-18 Alyssa A. of Oregon "Very good." 11-13-18 Diana J. of Florida "You did give me some hope. I’m starting to feel hopeful." 11-13-18 Sunnie R. of Virginia "I'm very happy that you gave me a moment to listed to me." Note: Talk Time was: 47 Min. 11-9-18 LeeAnn L. of North Dakota "I'm very happy so far." 11-9-18 Danielle B. of Florida "I feel very comfortable with you and I really hope that you help me." 11-7-18 Norwarren K. of California: "​I wanna say thanks for parents having the support because there's not that many, so I appreciate the fact that you guy are there and the compassion you guys have"
11-6-18 Kelly M. of Minnesota "I'm pleased with the assessment, I really am." 11-6-18 Dannah H. of Colorado "Very Professional". "I confirm and acknowledge being fully satisfied with the Investigative Case Assessment Performed. I also fully volunteer that Jon Scott, the Investigator who I spoke with, was very professional, very honest, very fair, very respectful of my rights, and the Investigative Case Assessment was Excellent. I also authorize this group to use my good word of their services as a reference with just my first name and last initial. After the assessment and once hired to investigate, we then give our clients a formal welcome and our full preliminary Case Questionnaire to fill out for our examination and foundation (combined with initial assessment information), to begin with. This creates our standard foundation for our team to begin its highly effective investigative activities for our clients. Survey-Testimony from Ms. Georgina H.
Ms. Georgina H. -- "It was really the strangest thing, the DA mysteriously dropped the charges." involvement helped get our results." "The only problem I've ever gotten from you is that you would try hard to do your best to get this result, and I appreciate it." We're moving in the right direction. We're just really, we went up to Oregon last week and it was just whim-bam you know, and they're like THIS HAS NEVER HAPPENED BEFORE, and you were the first thing that came to our minds. For what is different about this case than other cases - and all we could think of is you." Recent UPDATED EMAIL FROM CLIENT: "Thanks again. The settlement is more than we thought. Your efforts helped greatly." Our clients acknowledge our help has greatly benefited their case and helped them to receive a handsome monetary award in settlement of their lawsuit against CPS! Survey-Testimony from Ms. Mary P.
Ms. Mary P. -- "We hired you for getting our children back"
been returned to your home, is that correct? Ms. Mary P. "Yes, since June 9th." Follow-up Email From Client: "Just wanted to give you an update that my criminal case was dismissed yesterday." New River Behavioral Healthcare "Its collapse was caused by unreliable financial reporting and ineffective management, according to consultant Martin Starnes & Associates PA of Hickory. 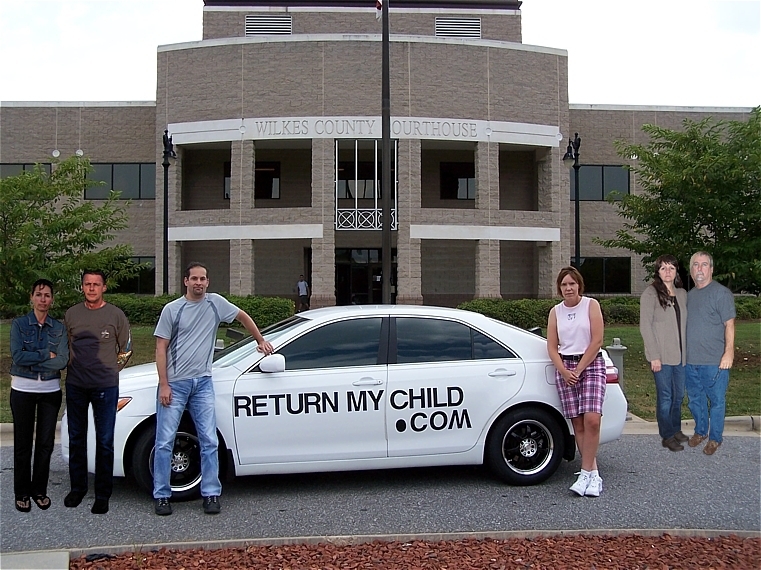 Crossroads sued the New River authority for $447,252 in February.."
ALL WILKES COUNTY NC CPS CASES ARE FREE (PRO BONO). If your case is outside of Wilkes County, NC - but still involves ANY of the corrupt people named in this case, YOUR CASE IS STILL FREE. Melanie A. "I have known Jon Scott for 10 years and he has the biggest heart any one man can have. He was always there when I needed to talk. He's a very hard working man that will give you the shirt off of his back. He loves his child unconditionally, always talking and doing his best for him. I know how much his son loves him. This is wrong, very wrong and I pray that his son is back where he belongs soon. Jon loves kids and that's all he would talk about when we met. He wanted his own child to love, care, and give him the best life possible." Melanie A.
Survey-Testimony from Ms. Donna M.
Ms. Donna M.: "It's been awesome, it's been great and I couldn't be happier"
Helping Families With CPS Cases Since 2009 with MANY more actual child and parent reunifications than any lawfirm in the nation. 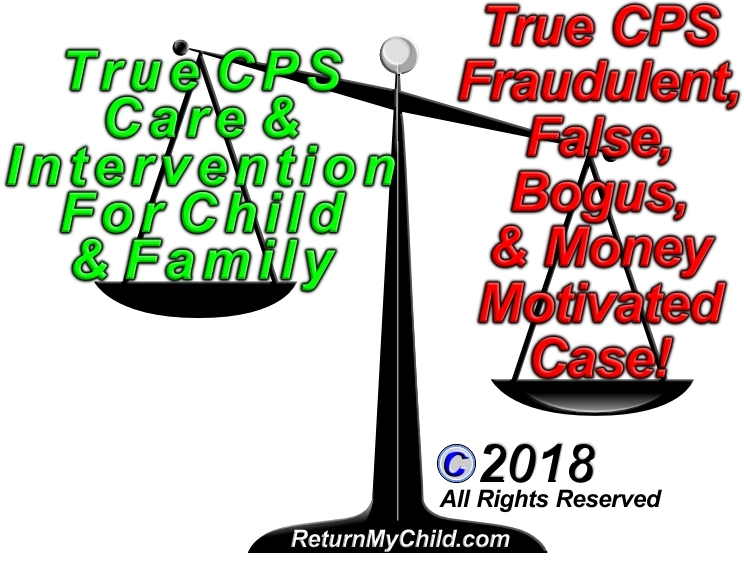 We provide the ultimate help with child protective services fraud (help with CPS fraud), and the ultimate help with child protective services corruption (help with CPS corruption) for each and every state as hired from the state the licensed professional is located. Our services provide investigative defense of CPS cases, defense of fraudulent CPS cases, defense of CPS fraud, defense of corrupt CPS, defense of CPS violations, defense of CPS rights violations, and defense of DSS cases. We provide help for DSS/CPS child protective services fraud and child protective services corruption in Alabama, child protective services fraud and child protective services corruption in Alaska, child protective services fraud and child protective services corruption in Arizona, child protective services fraud and child protective services corruption in Arkansas, child protective services fraud and child protective services corruption in California, child protective services fraud and child protective services corruption in Colorado, child protective services fraud and child protective services corruption in Delaware, child protective services fraud and child protective services corruption in District of Columbia (D.C. or DC), child protective services fraud and child protective services corruption in Florida, child protective services fraud and child protective services corruption in Georgia, child protective services fraud and child protective services corruption in Hawaii, child protective services fraud and child protective services corruption in Idaho, child protective services fraud and child protective services corruption in Illinois, child protective services fraud and child protective services corruption in Indiana, child protective services fraud and child protective services corruption in Iowa, child protective services fraud and child protective services corruption in Kansas, child protective services fraud and child protective services corruption in Kentucky, child protective services fraud and child protective services corruption in Louisiana, child protective services fraud and child protective services corruption in Maine, child protective services fraud and child protective services corruption in Maryland, child protective services fraud and child protective services corruption in Massachusetts, child protective services fraud and child protective services corruption in Michigan, child protective services fraud and child protective services corruption in Minnesota, child protective services fraud and child protective services corruption in Mississippi, child protective services fraud and child protective services corruption in Missouri, child protective services fraud and child protective services corruption in Montana, child protective services fraud and child protective services corruption in Nebraska, child protective services fraud and child protective services corruption in Nevada, child protective services fraud and child protective services corruption in New Hampshire, child protective services fraud and child protective services corruption in New Jersey, child protective services fraud and child protective services corruption in New Mexico, child protective services fraud and child protective services corruption in New York, child protective services fraud and child protective services corruption in North Carolina, child protective services fraud and child protective services corruption in North Dakota, child protective services fraud and child protective services corruption in Ohio, child protective services fraud and child protective services corruption in Oklahoma, child protective services fraud and child protective services corruption in Oregon, child protective services fraud and child protective services corruption in Pennsylvania, child protective services fraud and child protective services corruption in Rhode Island, child protective services fraud and child protective services corruption in South Carolina, child protective services fraud and child protective services corruption in Tennessee, child protective services fraud and child protective services corruption in Texas, child protective services fraud and child protective services corruption in Utah, child protective services fraud and child protective services corruption in Vermont, child protective services fraud and child protective services corruption in Virginia, child protective services fraud and child protective services corruption in Washington, child protective services fraud and child protective services corruption in West Virginia, child protective services fraud and child protective services corruption in Wisconsin, and child protective services fraud and child protective services corruption in Wyoming. Our investigative services are for CPS defense, child protective services defense, DSS defense, department of social services defense, child protective services defense. CPS case defense investigative services are for each and ever state of the united states and hired from the state where the investigator is licensed. States that we provide investigative case defense for CPS cases include CPS defense for Alabama, CPS defense for Alaska, Arizona, Arkansas, California, Colorado, Connecticut, Delaware, Florida, Georgia, Hawaii, Idaho, Illinois, Indiana, Iowa, Kansas, Kentucky, Louisiana, Maine, Maryland, Massachusetts, Michigan, Minnesota, Mississippi, Missouri, Montana, Nebraska, Nevada, New Hampshire, New Jersey, New Mexico, New York, North Carolina, North Dakota, Ohio, Oklahoma, Oregon, Pennsylvania, Rhode Island, South Carolina, South Dakota,Tennessee, Texas, Utah, Vermont, Virginia, Washington, West Virginia, Wisconsin, and Wyoming. We also provide service for Canada, United Kingdom (UK), and countries under special circumstances. Many cities that we provide CPS investigative case defense for include but are not limited to CPS case defense for New York, Los Angeles, Chicago, Houston, San Francisco, Phoenix, San Antonio, San Diego, Detroit, San Jose, Austin, Jacksonville, Philadelphia, Indianapolis, Columbus, Fort Worth, Charlotte, Seattle, El Paso, Dallas, Denver, Washington DC, Memphis, Boston, Nashville, Baltimore, Oklahoma City, Portland, Las Vegas, Louisville, Milwaukee, Albuquerque, Tuscon, Fresno, Sacramento, Long Beach, Kansas City, Mesa, Atlanta, Virginia Beach, Omaha, Colorado Springs, Raleigh, Miami, Oakland, Minneapolis, Tulsa, Cleveland, Wichita, New Orleans, Arlington, Bakersfield, Tampa, Aurora, Honolulu, Anaheim, Santa Ana, Corpus Christi, Riverside, St, Louis, Lexington, Pittsburgh, Stockton, Anchorage, Cincinnati, Saint Paul, Greensboro, Toledo, Newark, Plano, Henderson, Lincoln, Orlando, Jersey City, Chula Vista, Buffalo, Fort Wayne, Chandler, St. Petersburg, Laredo, Durham, Irvine, Madison, Norfolk, Lubbock, Gilbert, Winston Salem, Glendale, Reno, Hialeah, Garland, Chesapeake, Irving, North Las Vegas, Scottsdale, Baton Rouge, Fremont, Richmond, Boise, San Bernardino, Birmingham, Spokane, Rochester, Modesto, Des Moines, Oxnard, Tacoma, Fontana, Fayetteville, Moreno Valley, Columbus, Huntington Beach, Yonkers, Montgomery, Aurora, Glendale, Shreveport, Arkron, Little Rock, Amarillo, Augusta, Mobile, Grand Rapids, Salt Lake City, Huntsville, Grand Prairie, Overland Park, Knoxville, Brownsville, Worcester, Newport News, Santa Clarita, Providence, Fort Lauderdale, Garden Grove, Oceanside, Rancho Cucamonga, Santa Rosa, Port St. Lucie, Chattanooga, Tempe, Jackson, Cape Coral, Vancouver, Ontario, Sioux Falls, Peoria, Springfield, Pembroke Pines, Elk Grove, Salem, Corona, Lancaster, Eugene, Palmdale, McKinney, Salinas, Fort Collins, Cary, Hayward, Springfield, Pasadena, Macon, Pomona, Alexandria, Escondido, Sunnyvale, Lakewood, Kansas City, Rockford, Torrance, Hollywood, Joliet, Bridgeport, Clarksville, Paterson, Frisco, Mesquite, Savannah, Syracuse, Dayton, Pasadena, Orange, Fullerton, McAllen, Killeen, Hampton, Bellevue, Warren, Miramar, West Valley City, Olathe, Columbia, Sterling Heights, Thornton, New Haven, Waco, Charleston, Thousand Oaks, Visalia, Cedar Rapids, Elizabeth, Roseville, Gainesville, Carrollton, Stamford, Denton, Midland, Coral Springs, Concord, Topeka, Simi Valley, Surprise, Lafayette, Kent, Hartford, Santa Clara, Victorville, Abilene, Murfreesboro, Evansville, Vallejo, Athens, Allentown, Berkeley, Norman, Ann Arbor, Beaumont, Independence, Columbia, Springfield, El Monte, Fargo, Peoria, Provo, Lansing, Odessa, Downey, Wilmington, Arvada, Costa Mesa, Round Rock, Carlsbad, Miami Gardens, Westminster, Inglewood, Rochester, Fairfield, Elgin, West Jordan, Clearwater, Manchester, Lowell, Gresham, Cambridge, Ventura, Temecula, Waterbury, Antioch, Billings, High Point, Richardson, Richmond, West Covina, Pueblo, Murrieta, Centennial, Norwalk, North Charleston, Everett, Pompano Beach, Daly City, Palm Bay, Burbank, Wichita Falls, Boulder, Green Bay, Broken Arrow, West Palm Beach, College Station, Pearland, Santa Maria, El Cajon, San Mateo, Lewisville, Rialto, Davenport, Lakeland, Clovis, Edison, Sandy Springs, Tyler, Las Cruces, South Bend, Farmington Hills, and Erie. Due to the fact that our fully licensed investigative agency is indeed the leading firm in the nation since 2009 with helping thousands of families - nationwide, we do occasionally get harassed, threatened, and even falsely smeared online by PROVEN CONVICTED (In CRIMINAL COURT) Sexual Predators, Pedophiles, Sexual Child Molesters, and Child Abusers. We do however, provide full investigative defense for those whom have been wrongly accused of those acts/crimes and/or have admitted to being guilty/wrong and are now trying very hard to better themselves and satisfy what CPS is demanding for them to do for reunification. Nonetheless, some of these types of people support the coining of the phrase "misery loves company" - by trying to attack our firm's well-proven track record of the highest client satisfaction and case success, by attempting to mislead the public online because they are either A. Mad that we cannot take on their case for free at the time due to not receiving any contributions or donations to help us fund those investigations, or B. For opting out of taking on their case due to their own behaviors being HIGHLY uncivilized (not able to communicate in a civilized manner, believing they know everything and know how to do our job better than we do, indicating they don't know what the term "team work" means. C. DSS/CPS workers, staff, associates, friends, and family members, love to try to attack us and bring us down. RippoffReport.com has been sued around 100 times and has an F Rating at BBB (Better Business Bureau) so DON'T TRUST THAT SITE. ANOTHER Successful Case - FULL FAMILY REUNIFICATION - Click the Audio Player to Hear Full Client Testimony. "You got my granddaughter back, I would recommend you to anyone." Ms. Lee Ann B. Grandmother (client). March 2018 - Judge Sharon E. Guffee Recuses Herself OFF the Case AFTER We Were Hired To Investigate it! Please feel welcome to press play on the audio players & new VIDEO player to the right, to hear and see our client surveys! More videos to come! Survey - Testimony from Mr. Tony M.
Mr. Tony M. -- "I appreciate your help in keeping those kids where they belong and getting this resolved. Your helpful in quite allot of ways. You helped me organized some paperwork, helped me get a foot in the right direction, some helpful advice, and also kept my spirits up throughout this whole thing. Inv. Jon S. -- "Is it true that wrote me an email that you've won your incidence liberty trial and did our work during this case indeed make that happen?" Mr. Tony M. -- "Yeah, I believe you did help." "You've helped me organize quite allot to help me get myself straightened and everything, so they can be successful with it. I've gotten everything cleared up, allot faster and everything now. I've actually got my name completely free and clear." This group of fully licensed professionals wishes to welcome you. As the founder, I truly believe it's God's will for me to dedicate my time and very devoted help (applying my experience as an investigator since 1993) helping the families dealing with these corrupt and very difficult CPS cases, whom are aware and can appreciate the fact that I've dealt with it myself personally - when they took my beloved son Holden Scott Golds, from my loving care many years ago (over a one-time accidental hard spanking (with a flat-paddle) to the behind ONLY, that left light bruising which in fact went away fully within three (3) days afterwards). "Thank you and God Bless your organization." More GREAT Success for Parents in 2019! THANK YOU to ALL Existing Clients & Our Initial Case Assessment Paypal Buyers (Prospective Clients Whom Many Go on To Hire After the Case Assessment). Please be welcome to read some of our most recent Investigative Case Assessment Survey Testimonies down below!